Jim Pickett is a jack of all trades. He’s a writer, an activist and a policy leader who has been working as a leader in the GLBT community for more than 10 years. 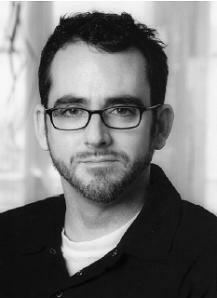 Jim started his career in 1993 as a columnist for the GLBT magazine Babble (later named Gab). While there, Jim gained recognition for being one of the first HIV-positive individuals to openly write about his experiences with honesty and humor. In 2005, he was inducted into the Chicago Gay and Lesbian Hall of Fame. Jim currently serves as the AIDS Foundation of Chicago’s Director of Public Policy and runs LifeLube.org, a Web site dedicated to promoting healthy living for gay men. We are proud to have Jim read at Essay Fiesta on April 19 at 7 p.m. at the Book Cellar.